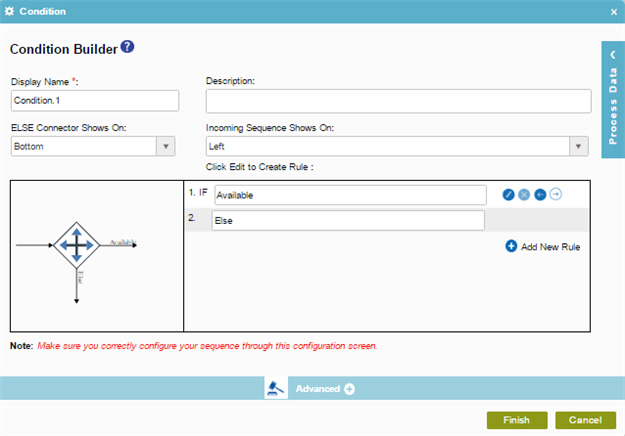 To configure a conditional expression to check the leave availability for your example absence request process, do the procedure in this topic. For a list of limitations for AgilePoint NX example documentation, refer to (Example) Create a Process-Based Application. Make sure you configure the direction of the incoming and outgoing arrow through Condition Builder screen correctly. (Example) Create a Process-Based Application for an Absence Request. 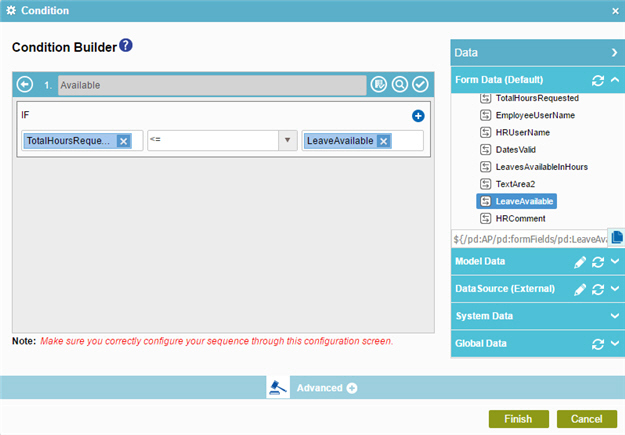 (Example) Start an Absence Request Process with an eForm. (Example) Create an eForm to Set Available Leave Hours. On the Common tab, drag the Condition activity onto your process. In the IF field, enter Available. 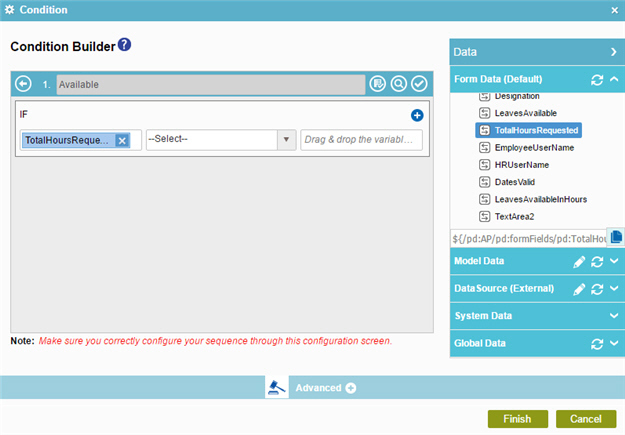 In the Rule Variable field, drag the TotalHoursRequested process data variable from the Process Data > Form Data screen. In the Operator field, select the expression <= from Number data type. Click Validate to make sure the rule is correct. Click Back to save your rule and go back to the previous screen. 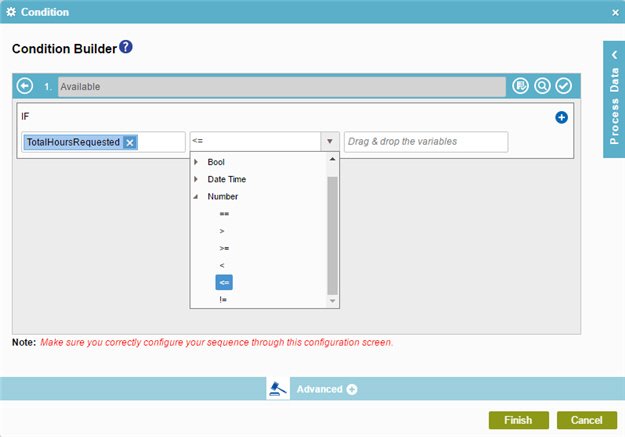 The Process Builder shows the Leave Available Condition activity for the example absence request process. © 2019 AgilePoint, Inc. All rights reserved.